Oh I just love book reviews! 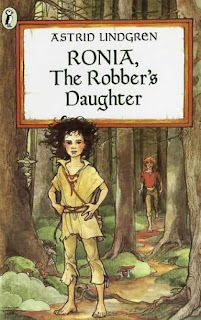 We have Ronia, but my girls aren't yet old enough for it - though I can't wait to read it to them. Lindgren has so many fantastic books out there! 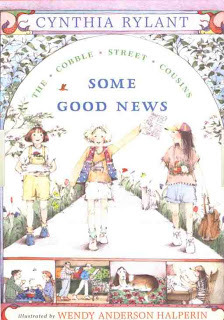 I hadn't heard of the Cobble Stone Cousins series, but I will have to check one out! I wish the kids in the Magic Treehouse didn't say some of the mean things that do in the book. I hesitate a bit with it just because of the negative language...it's unfortunatley in too many children's books - but a fun series, nonetheless. Anyway, thanks for such a great post! I recognized the name. My dad read us 'The Brothers Lionheart' when we were little. It was really quite interesting. Certainly made me think, though I do agree with Wikipedia that it was particularly dark for a Children's story. I mean, the main characters die... TWICE! Nangiyala. Oh, and Wikipedia just reminded me of the joint suicide at the end of the book... Loads of fun! "In 2007 the book was adapted into a musical." I didn't know she wrote Pippi Longstocking too. Yaffe, hey, you found me! Your warning about her other book made me look to the end of Ronia to see if there were any suicides. Whew! Thankfully, there are none.